So you have decided to take the big jump and get engaged. So, now what? You have to decide what type of diamond and engagement ring you want to get. So you talk to a couple of your friends (just make sure your friends don’t open up their big mouth about the proposal), and one of your friends tells you they have ‘a guy’ (everyone seems to have ‘a guy’). This ‘guy’ he’s referring to is a diamond wholesaler (most of the time). So what does a diamond wholesaler do? A diamond wholesaler is someone who buys diamonds in bulk and sells it to brick-and-morter stores or to on-line diamond companies. They procure diamonds with a deep discount because they buy in bulk. They don’t usually sell to the public or individual buyers unless it’s a friend or a friend’s friend. Diamond wholesaler have access to a pricing report called the Rapaport Diamond Report. This is an industry standard pricing guiding set up in a matrix, which includes the prices for different shapes, color, clarity and carats (up to 6 carats). If the wholesaler is good, then they should be able to give you the price listed on the Rapaport Diamond Report or lower than the price on the ‘Rap’ report (‘Rap minus 10’ – which means 10% off from the quote price on the ‘Rap’ report). An important factor to keep in mind is the prices on the Rapaport are an average of the prices being sold in the industry. The prices are not set in stone. When you go into a wholesaler’s office, they will show you 4 to 8 loose diamonds (depending on what are looking for). You will look at those diamonds under a loop (10x magnifying glass) and see what blemishes and internal flaws (air bubbles, cracks, scratches, etc.) inside the diamond. 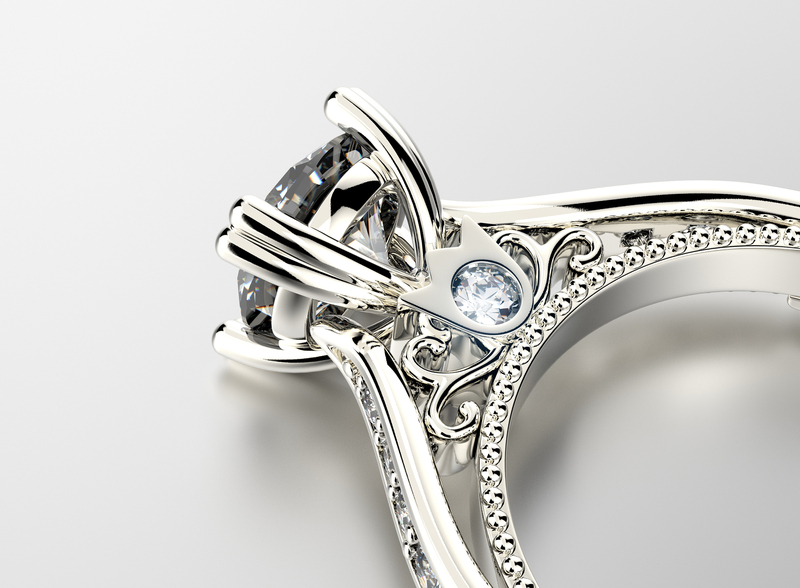 Once you decide which stone you like, the next step is putting the stone into the setting. If the wholesaler is good, they will make a custom made setting and put the center stone into the ring while you are standing right in front; and you will walk out with a newly minted engagement ring. Now, a retail diamond store is a brick and mortar store that sells engagement rings, earrings, etc. The advantage of shopping at a retail store is you get to buy the item immediately and take it home with you the same day and don’t need to wait for a box to come in the mail for you. You can go touch and feel the merchandise but be ready to pay 25% to 40% higher than a wholesaler or an online diamond company. The good news is most retail diamond stores are online now. 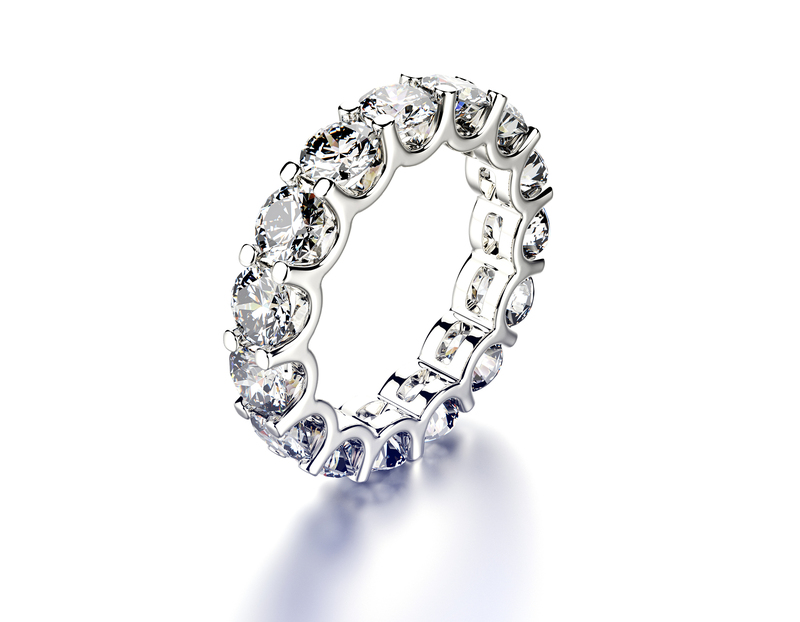 Its no surprise more shoppers are doing research online for big-ticket items such as diamonds. People can actually save more than 30% by shopping for a diamond online. Since there are so many diamond sites, it can be intimidating to find the right diamond, not to mention very time consuming. Fortunately, there is a site that aggregates all the large diamond companies into one site called diamondhedge.com. You can compare diamonds in less than 5 minutes, instead of spending over an hour searching and researching all the websites that sell diamonds. Diamond Hedge will make your life and research a lot easier; diamondhedge.com is the best in diamond price comparison.